The next generation Mazda CX-5 crossover SUV will arrive in Australia during the first half of 2017. ENTICING buys back into the next generation CX-5 is the challenge ahead of Mazda in 2017. 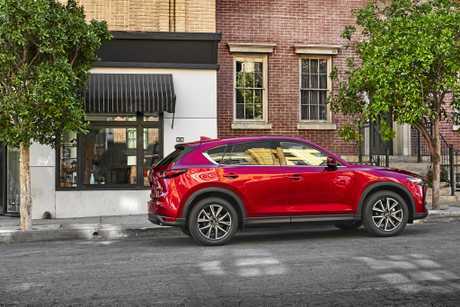 The mid-size SUV is pivotal in the brand's plans as the next generation CX-5 is forecast to arrive in the first half of the year. Among the expanded five-model line-up will be a new Touring variant, which will be priced between the most popular Maxx Sport ($35,790 in petrol all-wheel drive and $38,790 in diesel) and GT variants ($43,390 in petrol AWD and $46,390 diesel). The 2017 Mazda CX-5 crossover SUV. Mazda Australia marketing director Alastair Doak said the Touring model would provide something "more premium” as the marque adds extra shine to its star performer. The new CX-5 is promised to be quieter inside and have better road manners. It will come with second row air vents in some models, as well as an electric tailgate. Expect to see improved safety features standard across the range - similar to what has occurred with the Mazda6. The next generation Mazda CX-5 crossover SUV will arrive in Australia during the first half of 2017, with a quieter cabin and second row air vents in some models. CX-5 has been the darling of Mazda's range since launched five years ago. It's on track to be Australia's most popular SUV this year, for the third time in succession. Yet it has been overshadowed by its smaller sibling over the past 20 months. The CX-3 has shot up the sales charts since it arrived on the scene, and is gunning for segment leadership with the Mitsubishi ASX (which has been on the receiving end of strong discounting in 2016). Having been joined by the all-new CX-9 early this year, it's the SUVs driving Mazda's position as Australia's second most popular brand. Mazda is accounting for 10% of all national sales, up slightly on this time last year, and on track for a record year. 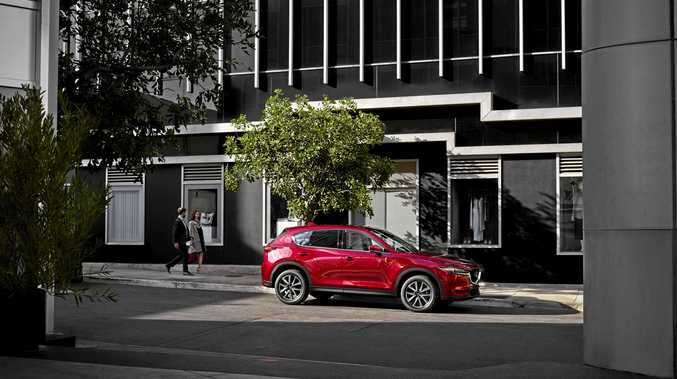 The marque sits on the popularity podium within all passenger and SUV segments it competes, with the Mazda3 Australia's fifth best selling car. Adding some excitement in recent times has been the two-seater MX-5, and from February 1 a retractable fastback version will be available. One of the first pilot right-hand drive models was on show at a special Mazda function today as the brand plans ahead for the next calendar year.